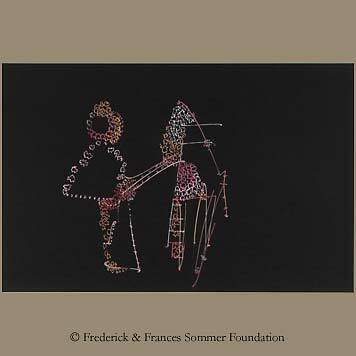 Frederick Sommer started making drawings when he was a young child. His parents loved music and books. They enjoyed good food and often accompanied their evening meal with a fine wine. By the age of 15, the adults around him had noticed his skill at drawing, respect for books and interest in the variety of people and cultures surrounding him in Rio de Janeiro.